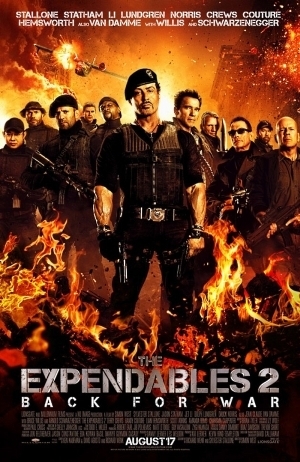 The Expendables 2 Rough, Tough, & Back For War: Due to be released on the 17th of August 2012, the Expendables return for its second installment of fire, explosions, guns, knives, and war. The upcoming 2012 American ensemble action film directed by Simon West, and written by Sylvester Stallone (can you say Rocky?) 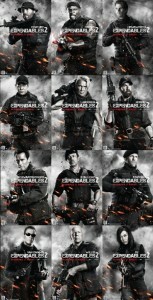 and Richard Wenk will feature stars Sylvester Stallone himself (of course), Jason Statham, Jet Li (Asian pride, y’all! ), Dolph Lundgren, Chuck Norris, Randy Couture, Terry Crews, Liam Hemsworth, Bruce Willis, Arnold Schwarzenegger, and Jean-Claude Van Damme. Yes, you could say that the flick has an old cast but with a stellar lineup like that, who needs “The Avengers”? In this sequel to the 2010 action film, Mr. Church (played by Bruce Willis) reunites the Expendables for what should be an easy paycheck. After taking a seemingly simple job, the crew find their plans going awry and one of their own is brutally murdered by rival mercenary, Jean Vilain (played by Jean-Claude Van Damme). Their quest for revenge puts them deep in hostility as they land in enemy territory and up against an unexpected threat. 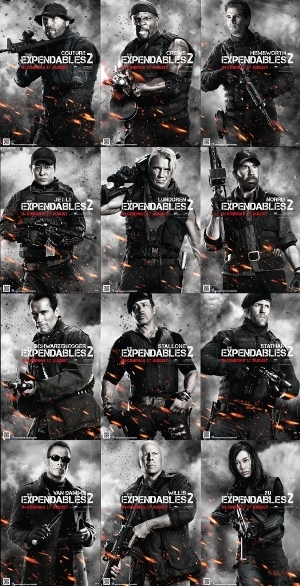 It’s up to the Expendables and their new members Bill the Kid (played by Liam Hemsworth) and Maggie (played by Yu Nan) to dive headfirst into a raging war, to put a stop to a deadly weapon.